Note the small “x”‘s in the corners, and that the apps with Live Tiles (e.g., Nextgen Reader) are not displaying updated information. 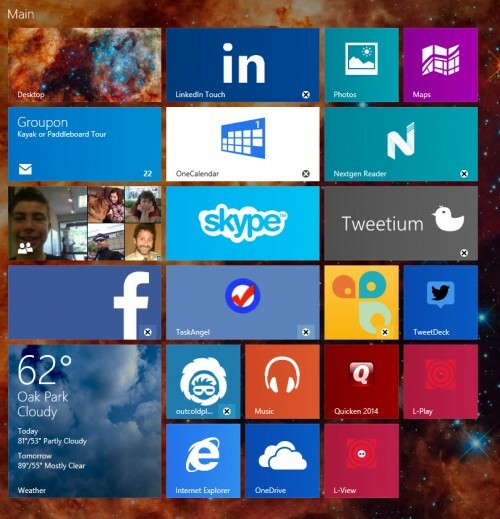 Check the Windows Store for more info about <AppName>. If I do go to the store, sometimes the app will reinstall and sometimes it’s listed as installed with no other options. Microsoft has a support page on the topic, but the steps provided typically don’t fix the issue for me. Fortunately, there’s a trick that most often works for me. There was one occasion where it did not, and only a refresh via Charms > Settings > Change PC Settings > Update and recovery fixed it for me. To apply the trick, open up the Windows Store app, then Charms > Settings > App updates, then click on “Sync licenses.” The system will churn for a few seconds, and then if all is well you’re apps will once again be functioning and the “x”‘s will be gone. App errors resolved. 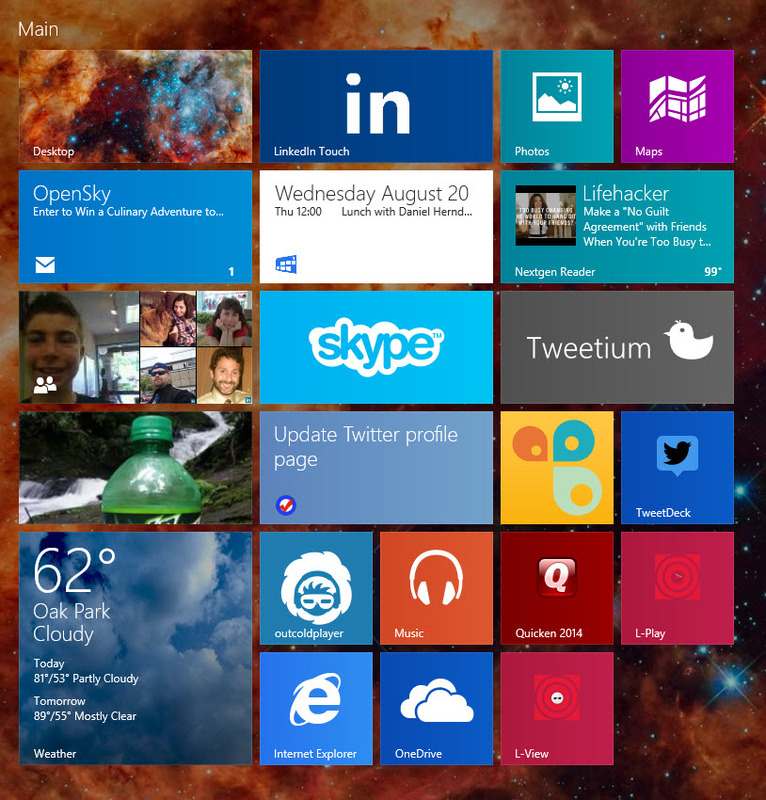 Note that the small “x”‘s are gone, and apps with Live Tiles are now populated with updated information. If you run into the problem and this trick fixes it for you, please let me know in the comments. aren’t there any videos that can show the steps of this solution? Open calender app, then follow link to the app store and youll have a repair option for this app. Seems to correct the “This app cant open” issues for all apps after repairing calender app. Yes, that works sometimes but not always, in my experience. What if you can’t even open the Windows Store or your PC Settings? Then what?